Heating aircraft hangars has been a problem since almost the dawn of the airplane. And for good reason. Airplane hangars are typically high bay open-air structures with one large hangar door on one end to accommodate the sheer wingspan of an aircraft. When the hangar doors are opened, heat is quickly displaced with cold outside air. When doors are closed, the heating cycle must start all over again. 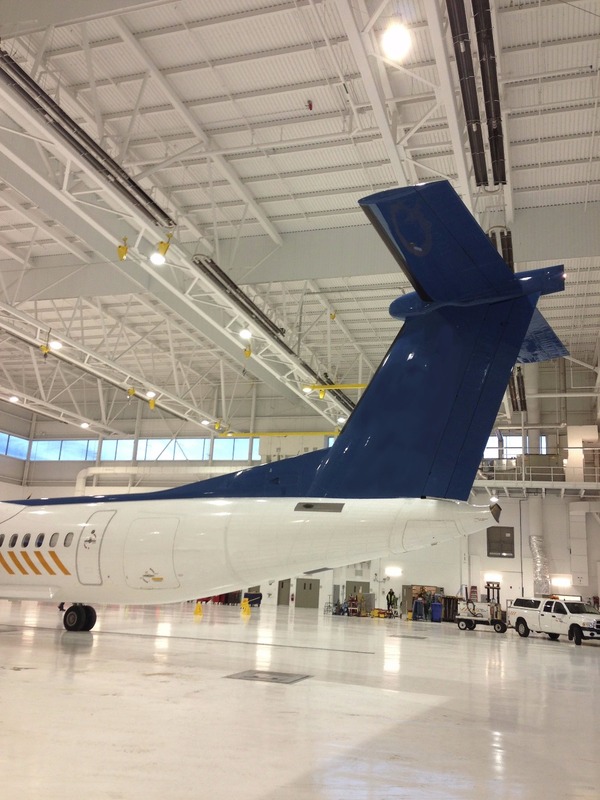 In addition, hangar doors are not always well insulated and they allow a lot of cold air infiltration through gaps around the door’s perimeter. The process of regenerating that lost heat energy can take considerable time and use up a ton of heat energy. This kind of energy savings should cause all building owners to pause and think, “how much money can infrared save me, and what could I do with that extra money"? In addition to dramatic energy reduction and savings, infrared heating systems provide users with unmatched comfort. With forced air systems, hot air rises and collects at the ceiling, which must stratify from the ceiling downward until it reaches the people zone (that’s a daunting task when ceilings are 30 plus feet high). We call this “hot air stacking”. In structures that are 25’ to 50’ tall, even if the convective heat gets down to the “people” zone, floors remain cold. Cold floors equates to cold feet and unhappy people. By contrast, infrared warms the floors first, not the ceiling. In short, hot air stacking from the ceiling downward is replaced by warm floors convecting upward. Other benefits of infrared include quiet operation and quicker heat recovery. Infrared heaters are inherently quiet because they don’t blow air, as do forced air systems. Also, since infrared heats objects, heat is recovered more quickly after hangar doors are closed. That’s because objects in the path of the infrared emitters (floors, aircraft, etc.) act as a heat sink, literally absorbing and storing heat in their surfaces. Once doors are closed, that stored heat energy helps re-heat the surrounding air more rapidly. Many large open-air structures have the same characteristics as aircraft hangars. Warehouses, manufacturing facilities and auto service garages are perfect applications for a gas infrared radiant tube heating system or high intensity infrared heaters. An infrared heating professional can provide a no obligation cost analysis to determine what kind of energy savings and benefits infrared can provide for you.